Robert “Bob” E. Deans II passed away on January 6, 2019 after a brief battle with cancer. He was born in Portsmouth, VA on February 5, 1946 and lived in Newport News for the majority of his life. He attended Our Lady of Mount Carmel Catholic School through 8th grade, Warwick Jr. High, and graduated from Warwick High School in 1964. Bob attended Christopher Newport College for 2 years before enlisting in the United States Navy. After 4 years of service, he returned to CNC to obtain a B.A. in History. He also earned a MED from the College of William & Mary. 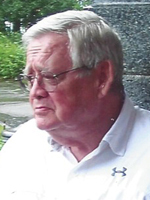 Bob taught school for 32 years at OLMC Catholic School and for the Newport News Public Schools. He was known as “Mr. Civics” for his passion for teaching his students citizenship and government. After retirement, he volunteered for the school system and served breakfast to the homeless at St. Paul’s Episcopal Church. Left to cherish his memory are his wife, Sandra Hughes Deans; sons, Brian and Drew Deans; grandson, Alex Deans (aka 3rd son); his sister, Leslie Reynolds and her husband, Bobby; nephews, Greg, Chris, Bob and niece, Natalie; and stepsisters, Joan and Sue Vincke. He was preceded in death by his parents, Penn and Sis; and his brother, Wayne. A Memorial Service will be held at 1:00 pm on Saturday, January 26, 2019 at St. Andrew’s Episcopal Church with a reception for family and friends to follow. In lieu of flowers, memorials may be made to St. Paul’s Food Ministry, 221 34th Street, Newport News, VA 23607. Arrangements by Weymouth Funeral Home.